Romantic "Porcelain" Bundle- 1 Left! Oh my goodness, this line is just so classy and romantic! Perfect for a romantic spring project or for any classic decor. Just such gorgeous prints! 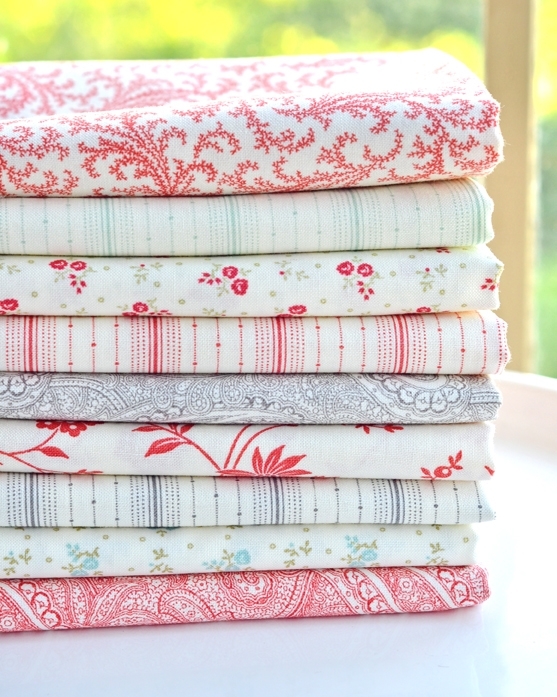 Each bundle has exactly these (9) prints from the Porcelain collection by 3 Sisters. 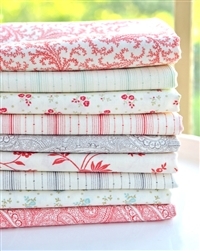 Each bundle contains (9) 1/2 yd. cuts for a total of 4 ½ yds.